Wouldn’t it be great to receive a commendation at the start of a fresh new year? The Annual Prize Presentation Ceremony organised by the LKS Faculty of Medicine of the University of Hong Kong was held on 11 February 2019. On behalf of our College, it was my great privilege to present the Hong Kong College of Family Physicians’ Prize in Family Medicine to Dr. Fok Alvina Jada and the Hong Kong College of Family Physicians’ Prize in Community Medicine to a group of 10 recipients, namely Mr. Ho Han Chung Gar, Mr. Ho Wui Hang, Mr. Lew Ting Kai, Mr. Li Ka Ho, Mr. Ma Kwok Ming, Miss Ng Kim Yee Naomi, Miss Tam Wan In, Miss Wan Lai Kuen, Miss Wong Wing Shan, Miss Wu Kit Wah. Congratulations and well done to them all! The Media Spring Luncheon hosted by the Hong Kong Academy of Medicine (HKAM) was also held during the Chinese New Year period. The theme of the luncheon was “Promoting Primary Healthcare Development to Enhance the Overall Health Service Standard”. The President of the HKAM, Prof. Lau Chak Sing, pointed out that one of the main directions for HKAM’s annual plans this year is to strengthen primary healthcare services which could help relieve the pressure on public hospitals. In the meantime, the upcoming District Health Centres (DHCs) to be set up by the Government would have their eyes on non-communicable diseases, e.g. diabetes and hypertension, and common orthopaedic conditions. Therefore, the HKCFP has been invited to take the coordinating role to collaborate with other relevant HKAM Colleges in providing training in these areas. During my presentation in the media luncheon, I reiterated the many important roles of the family doctors in the patient journey, such as the health adviser, treatment provider, care coordinator, and health resource navigator, just to name a few. With an established track record in the provision of quality postgraduate education for primary care doctors, the HKCFP is in the best position to provide up-to-date Continuing Medical Education (CME) and Continuing Professional Development (CPD) programmes to support the service needs of the DHC network doctors and other doctors in the community, e.g. our Diploma in Family Medicine (DFM), which is a one year part-time programme leading to a quotable postgraduate medical qualification in Hong Kong. A Family Physician is the carer of an individual and his family from “Cradle to Grave”. And end-of-life care is one of the wide ranges of services that Family Physicians can provide to improve the quality of life of the patients as well as their families. With an ageing population and an increasing number of patients suffering from advanced life-limiting diseases, end-of-life care is becoming more and more important. The HKCFP has collaborated with the Haven of Hope Sister Annie Skau Holistic Care Centre and the Jockey Club End of Life Community Care Project, Faculty of Social Sciences, the University of Hong Kong to organise a Certificate Course of End-of-Life Care for Primary Care Doctors which was commenced on 17 February 2019. We are most honoured to have Prof. Sophia Chan, Secretary for Food and Health, Food and Health Bureau, and Dr. Lam Ching Choi, Chief Executive Officer of Haven of Hope Christian Service and Chairman of Elderly Commission, to give us opening speeches on that day. Thanks to Dr. Paul Wong, Deputy Medical Superintendent, and Dr. Tracy Chen, Associate Consultant Physician, of Sister Annie Skau Holistic Care Centre, Haven of Hope Christian Service for sharing their expertise right after the opening. 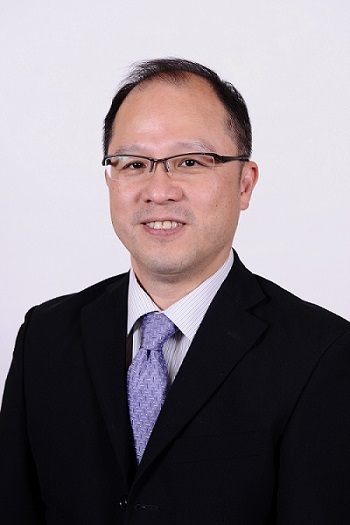 We are of course very grateful towards Dr. Alvin Chan, our Board of Education Chairman, and our College secretariat for helping to organise this important course. Judging from the full attendance on a Sunday afternoon, filling up the seminar room and additional seats had to be placed on the side, together with a substantial oversubscription waiting list, this timely course is quite well received by fellow colleagues. The Department of Health (DH) launched the “School Outreach Vaccination Pilot Programme” to provide seasonal influenza vaccines (SIV) to students through outreach teams last year, which was followed by a lower rate of influenza-like illness outbreaks in schools. A meeting hosted by the Centre for Health Protection of the DH was held with medical organisations on 14 February 2019 to discuss the strategies and new initiatives in promoting SIV for school students in primary schools, kindergartens and child care centres. Thanks to Dr. Eric Hui for attending the meeting on behalf of our College.